On Tuesday, Nov. 24 the Turkish air force shot down a Russian Su-24 bomber in Syria’s Bayır Bucak region. 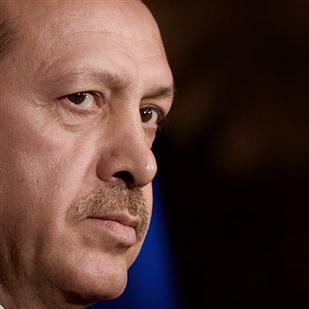 The Turkish president’s administration has claimed that the plane was shot down because it violated Turkish airspace. – bring a TV crew to the location. Conclusion: this echelon was used by the Russian jets on daily basis and the attack was intentional and well-prepared. This incident is clearly the thorniest issue that has arisen between Russia and Turkey in the last 15 years. Of course, the destruction of the Russian plane was no accident. In that area the local terrain and the contour of the Turkish-Syrian border is very complicated. It would be entirely possible for a Su-24 bomber traveling at high speed to accidentally veer off course for a few hundred meters. 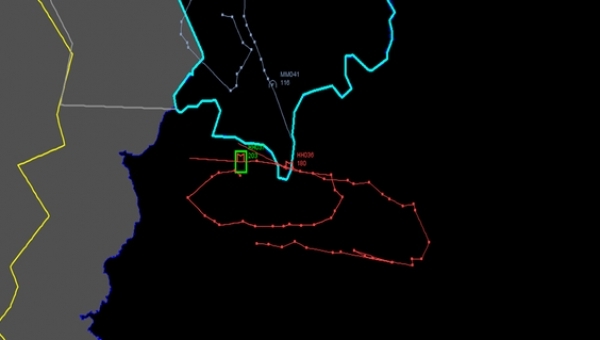 For example, it is equally difficult to precisely determine the boundaries of the airspace around the Greek islands that surround Turkey in the Aegean Sea: Greek sources report that Turkish aircraft violate their borders fairly often, however no one shoots down the culprits. This was a clear provocation intended to escalate the conflict in Syria. 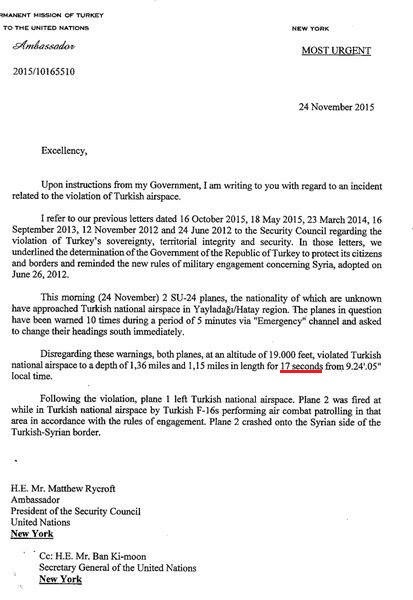 So why did the Turks decide to shoot down the Russian jet? The operations jointly carried out by the Syrian Army & Russian air forces for the last days were targetted against “Sultan Abdulhamid Han Brigade” along with the other Jabhat al-Nusra-linked groups. That brigade is made up of Syrian Turkmen who enjoy the strong support of the Turkish government. According to the Turkish press, the members of that brigade had to send their families into Turkey and then returned to battle the Syrian Army. Last Friday Ankara have even summonedRussia’s ambassador in protest over the intensive bombing of “Turkmen villages” in northern Syria.So this incident could be seen as Turkey’s revenge for the deaths of its clients. Turkey will try to milk the situation for all it is worth. Immediately after the incident, they attempted to sort out the mess, not by contacting Russia, but by reaching out to NATO, counting on assistance from their allies should Moscow respond in kind. 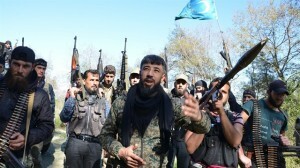 Apparently the Turks are once again raising the issue of a no-fly zone on their border, where the militants with whom they are allied – the Turkmen and the Free Syrian Army – will be able to take shelter from attacks launched by the Russian AF and SAA. If the US dares to establish a no-fly zone, that might create a precedent for a partition of Syria – what the Western coalition is actually seeking for. Thus the militants might be able to obtain bases not vulnerable to attack by the Syrian army, in which they could rest and replenish their troops, and this would prolong the civil war indefinitely. We should take a close look at who was behind the Turkish decision to shoot the Russian planes out of the Syrian sky. The country’s current political elite, who decided to fight in neighboring Syria down to the last opposition fighter in order to overthrow Bashar al-Assad, is responsible for this incident. They are still not backing down from this goal, although they have had at least five years to review their policy on supporting revolutions and terrorism in the Middle East. So far this stubbornness resulted in an economic crisis, millions of Syrian refugees passing through Turkish territory and a serious tensions inside society and ruling groups. Of course, after what has happened some cooling of Russian-Turkish relations is inevitable. This would seem to doom any hope of success for the negotiations over the Turkish Stream pipeline or the completion of the nuclear power plant in Akkuyu. The Russian tourists are already advised not to travel to Antalya or Marmaris and Iran will most likely replace Turkey as a supplier of fresh fruits and vegetables to Russia. Bilal Erdogan ( centre), son of Turkish president, with his “business partners” Istanbul. And there is little Turkey can do in response. Should it join the European sanctions against Russia? Those are not having a very adverse effect on the Russian economy. Nor would they be able to significantly reduce their imports of Russian gas any time in the foreseeable future (before 2018), because their closest neighbors do not possess large working gas fields. Many experts claim the Bosporus could be closed. But the 1936 Montreux Convention would rule out any such possibility. That convention continued to govern all traffic through the straits even during WWII and the Cold War. Here it is worth to recall how violently Turkey reacted when Israeli commandos stormed the MV Mavi Marmara, which was en route to Gaza on a humanitarian mission. That resulted in a significant chill in relations with Israel, and Turkey recalled its ambassador. In the end, Israeli Prime Minister Benjamin Netanyahu had to apologize. 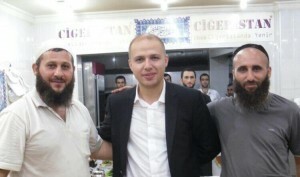 The next day, posters depicting his sad, remorseful face were plastered all over Turkey, and Recep Erdoğan portrayed this as a personal victory. Turkey should offer an official top-level apology to Moscow and pay compensation to the families of the dead. Alexander Sotnichenko is the Russian Turcologist, Associate Professor of the St.Petersburg University. He holds the Ph.D. in History.